Paramount has just debuted their first teaser trailer for Gore Verbinski's Rango on Apple today. 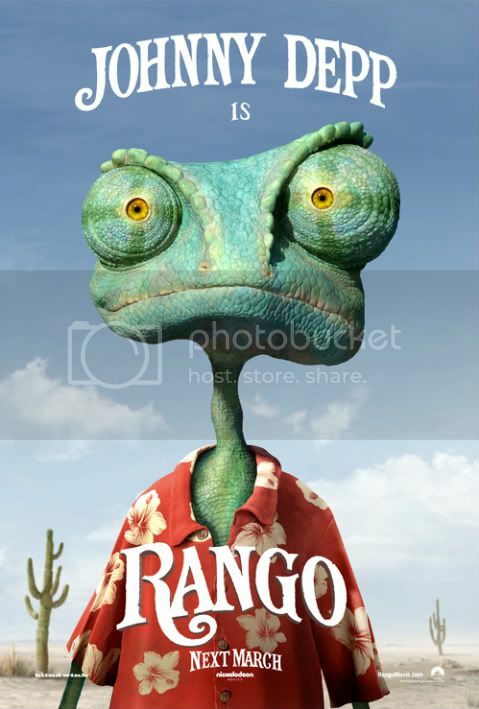 The chameleon Rango is voiced by Johnny Depp - which doesn't really sound like him if you ask me. The rest of the voice cast includes Abigail Breslin, Bill Nighy, Isla Fisher, Alfred Molina and Ray Winstone. This movie actually looks pretty cute and I can see it turning into a big hit. It's so weird they feel the need to show us a teaser a year in advance, but whatevs. Check out the first teaser trailer below. Enjoy!